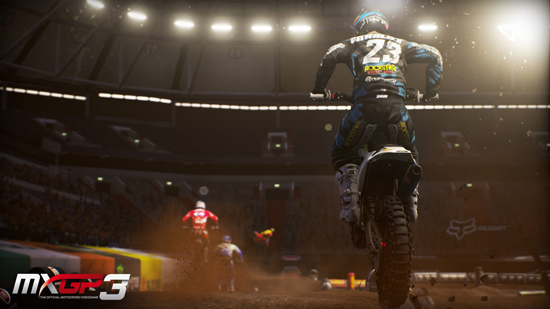 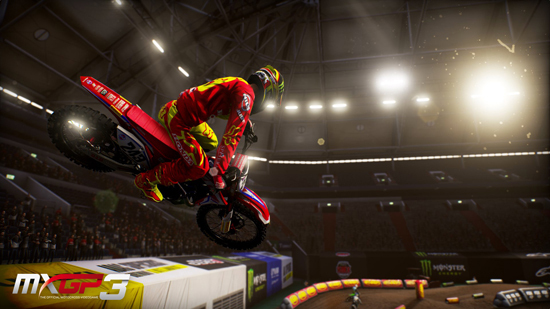 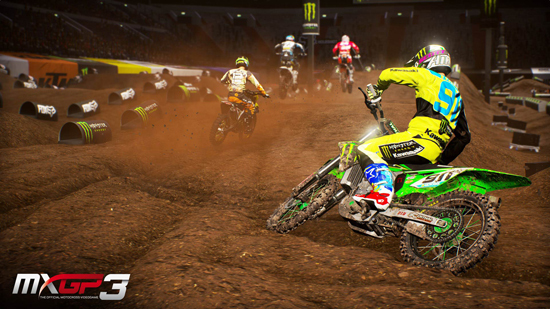 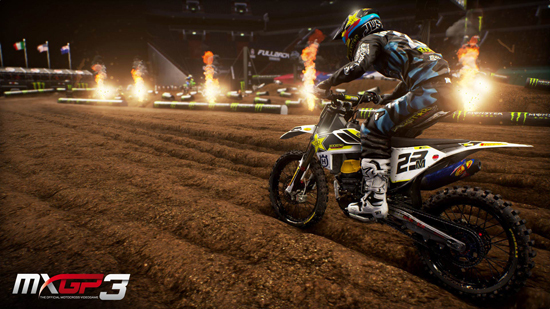 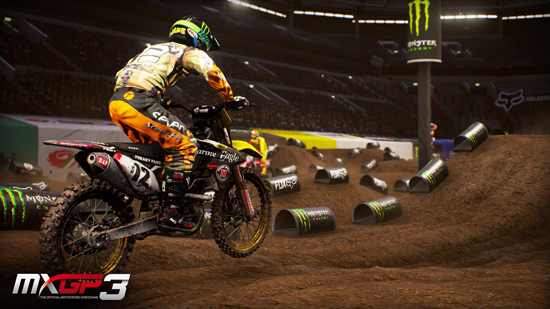 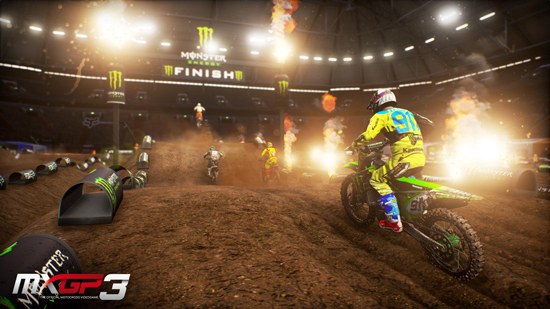 The first DLC for MXGP3, the Monster Energy SMX Riders Cup, is launches today in digital stores on platforms for $2.99. 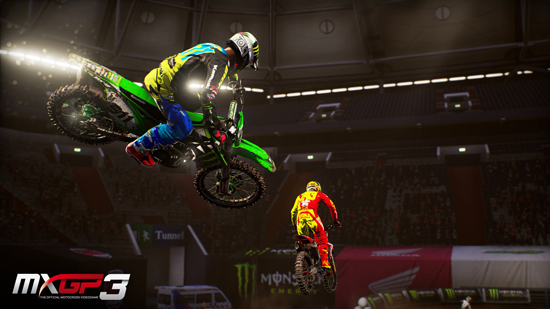 Accept the challenge of the MXGP3 - Monster Energy SMX Riders Cup and race in the box-fresh Supermotocross competition, organized for the first time in 2016! 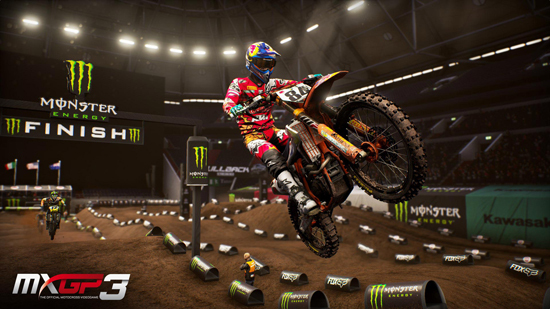 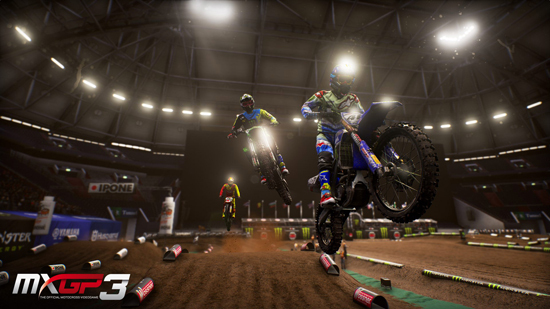 In this exclusive competition, you can choose among 6 of the most important MXGP Championship manufacturers: KTM, Husqvarna, Honda, Suzuki, Yamaha, and Kawasaki and race with your own team in the indoor Arena of Gelsenkirchen. 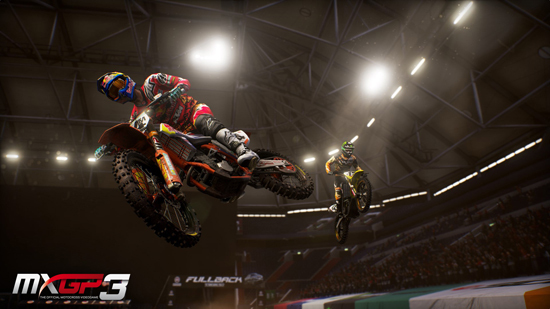 Maximum freedom: players can select any bike among 250cc and 450cc, as well as among all 4 stroke models to compete in Superpole. 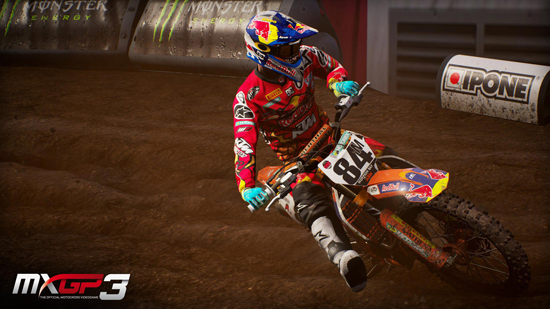 The best time in Superpole will let you choose the starting gate you prefer for the last race which will proclaim the Monster Energy SMX Riders Cup final winner!